The awareness campaigns of the mines dangers use different suitable methods and equipments. Demining is one of the Center major activities, the Center demine for humanitarian reasons only. The program aims to detonate mines & ERW stocks to guarantee that these mines would not be used once again. 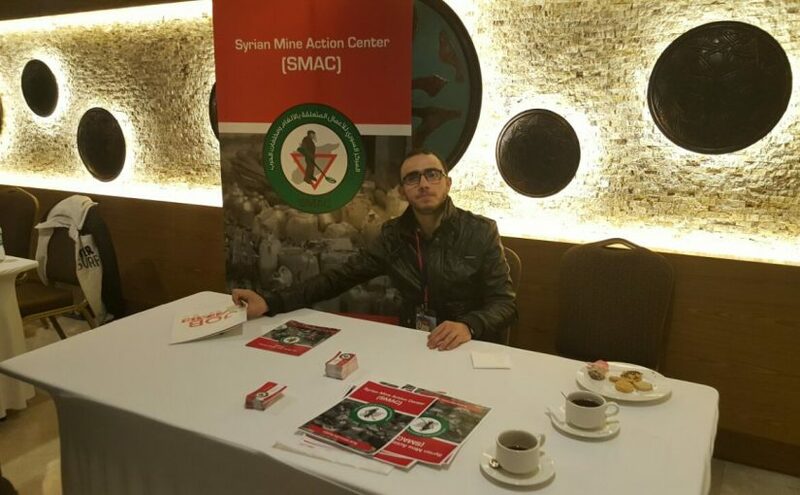 Overview of the Syrian Mine Action Center (SMAC) The Syrian Mine Action Center (SMAC) was established by volunteers who dedicated themselves to protect civilians from mines dangers as a response for the military operations taking place in Syria. 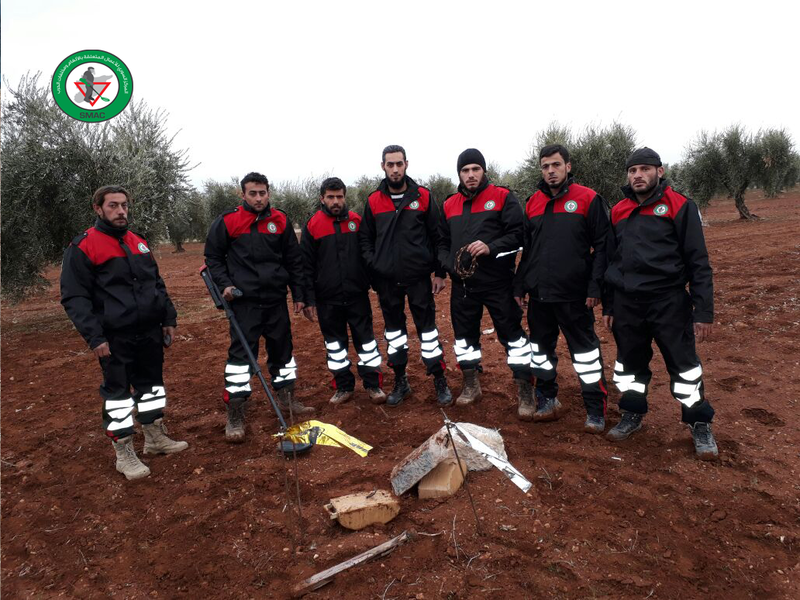 SMAC teams gained their practical experience from the need imposed to eradicate mines and ERW resulted from the military operations and the daily bombardment on province of Aleppo. 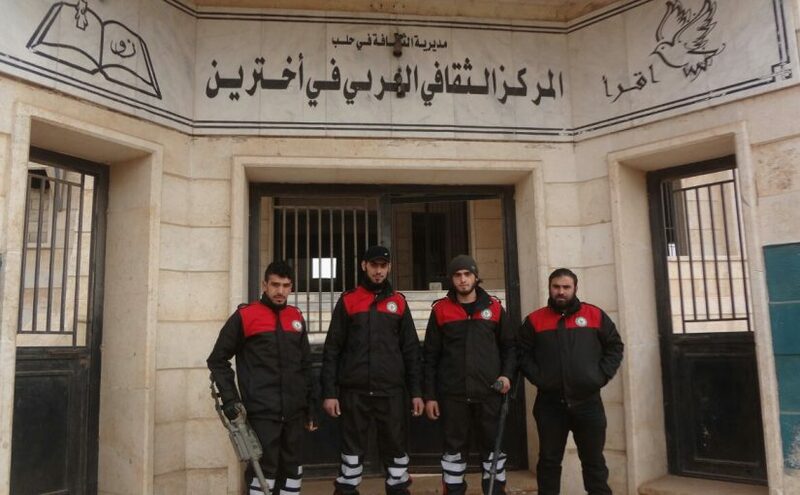 The teams, which consists of more than 50 domineer volunteers, works in Aleppo and its countryside and Idleb province. SMAC manages all the humanitarian works related to mines and ERW. The main center is located in Aleppo northern countryside. Mines & ERW problem in Syria appeared with the systemized bombardment Syrian cites and countryside with different kinds of weapons. 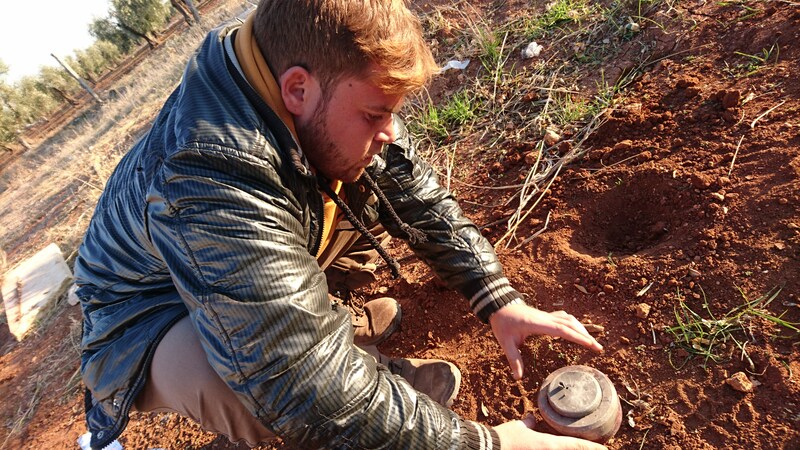 This problem developed more with using of the cluster bombs and the other internationally forbidden weapons against civilians in addition to laying mines around the cities. The contaminated area with respect to the liberated regions is too large with high intensity of population. Mines & ERW problem affect a large number of civilians, and in particular those returning from displacement to their villages. 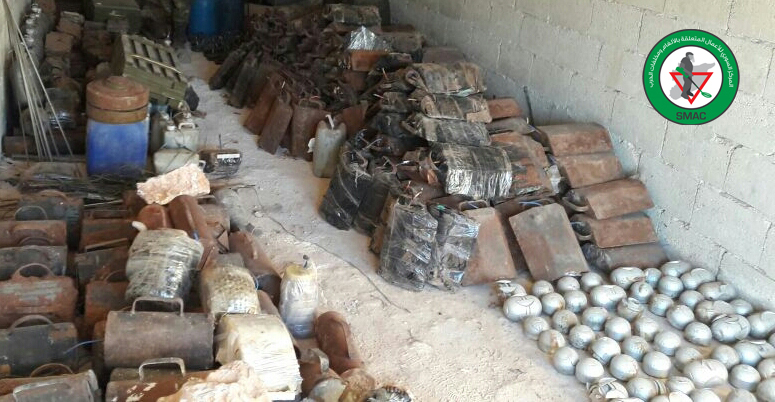 ISIS largely used mines against civilians, and in areas withdrew such Jarabulus and its suburbs and Aleppo north countryside. 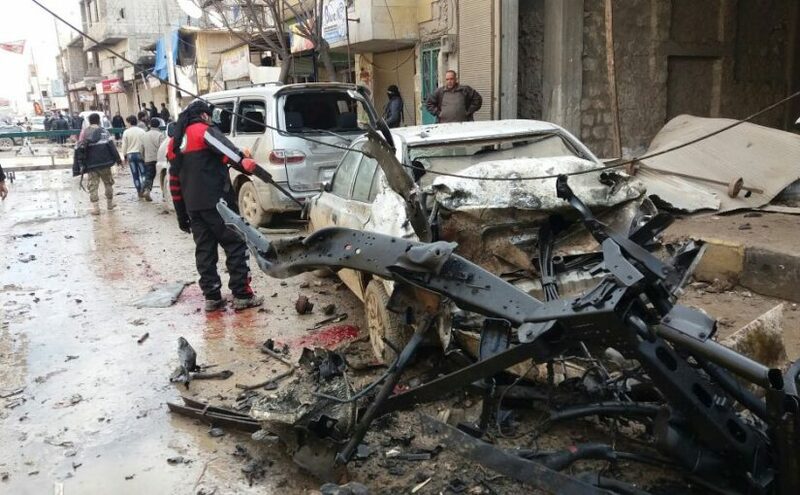 ERW also generated from the daily bombardment to the mentioned areas. Ikhtareen town and its countryside are now completely secure and free of mines due to the huge efforts made by the SMAC team. Smac attended a fare held by Alman isbirligi, giz, care, & orange in Divan Hotel,Gaziantep Turkey on 5 Jan 2017. © 2016 Made with Romero Taleb. All rights reserved.